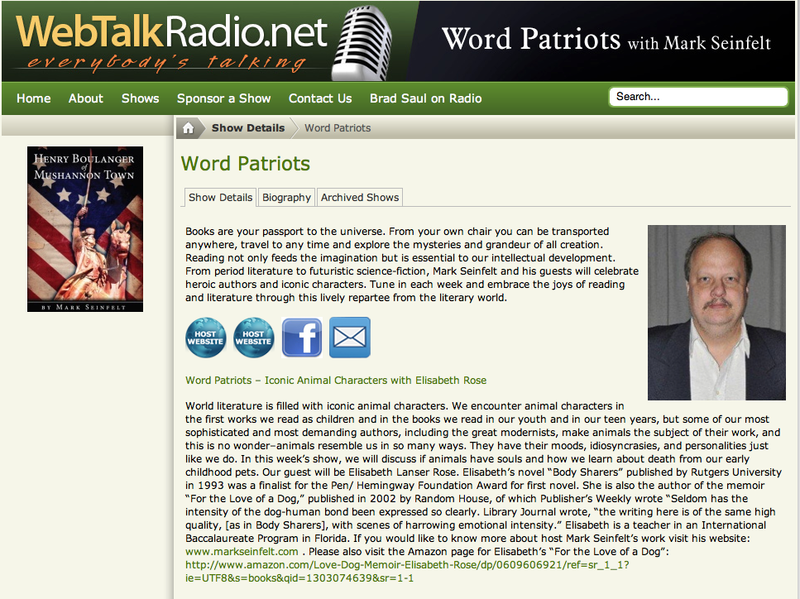 Head over to WebTalkRadio.Net and catch the latest installment of Word Patriots with Mark Seinfelt. This week, Mark chats with Elisabeth Rose about the place of animals in literature. Animals have figured prominently Rose’s fiction, and of course in her memoir For the Love of a Dog.